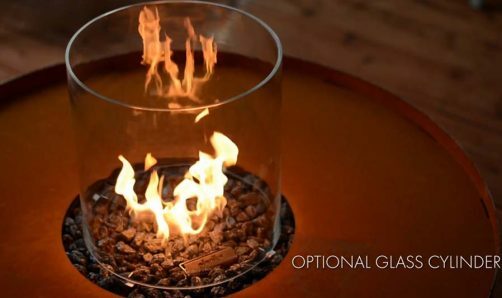 Galio Corten Fire Pit is an automatic outdoor gas fireplace enclosed in a round, puristic case resistant to the most severe weather conditions. Exposed to the outside environment, the steel develops a rusty in appearance oxide layer. 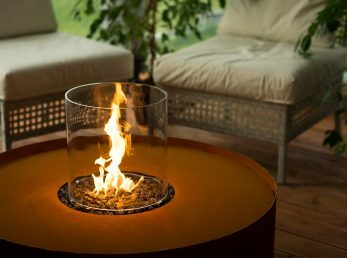 All of this make it a safe and durable fireplace for your garden. 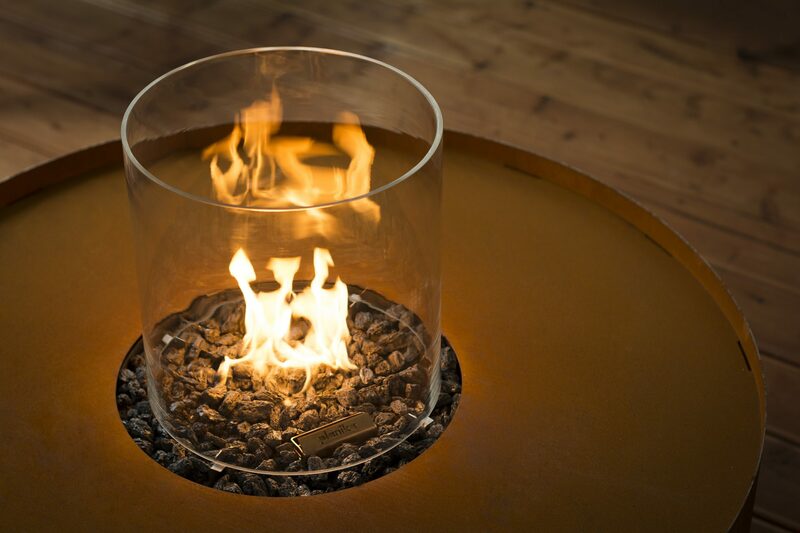 Its heart – the unique fire-pit-shape burner – creates an even and concentrated flame that will bring every outdoor space to life. 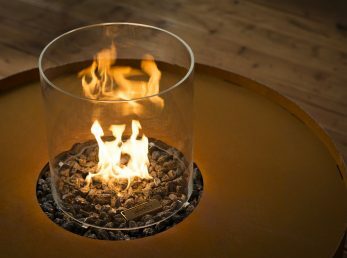 This patio fire pit can also be fitted with an optional glass cylinder which covers the flame and provides additional aesthetic value. 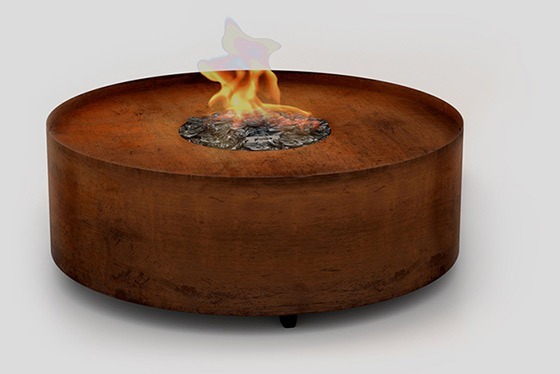 Galio Corten Fire Pit is a free-standing, portable product; this feature allows for easy installation and free arrangement of the fireplace (no electric connection required). Two control solutions, an integrated Easy Start panel and convenient handheld remote, offer extra comfort and easy control of the device and flame. 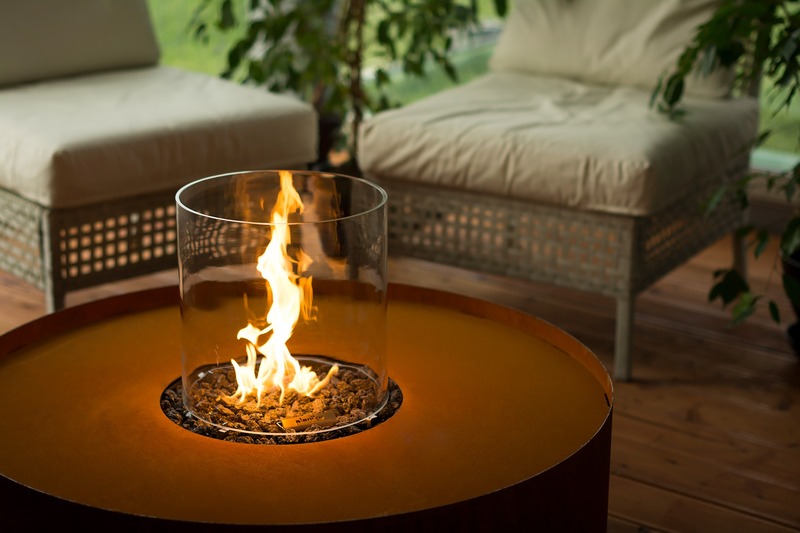 Together with low operating voltage and two fuel options (Natural Gas or LPG), it is the ideal fire pit table for outdoor spaces of any kind.